- Powder coated steel tubes with durable nylon connectors. -Includes all 6 sides, 4 full size(3 windows per panel) church windows. 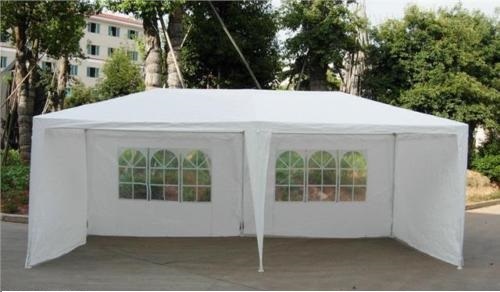 - Idea for garden, camping, wedding, BBQ, parties, etc..
- Can be erected on both hard or soft ground. -Box Dimension:- 112 x16 x 26.5 (Cm) Box Weight – 14.5Kg. .
-Ground coverage area of 18 square meter.